There are many photography groups that spend their time discussing photographic technique, camera usage, lighting equipment, and post processing. Our society instead focuses strictly on fine art education with an aim at developing our members as artists who choose to use photography as their medium. 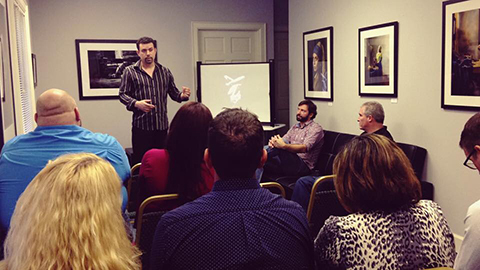 Our group provides educational segments at our meetings as well as online resources to aid photographers who want to make the transition into the world of fine art from more commercial work.